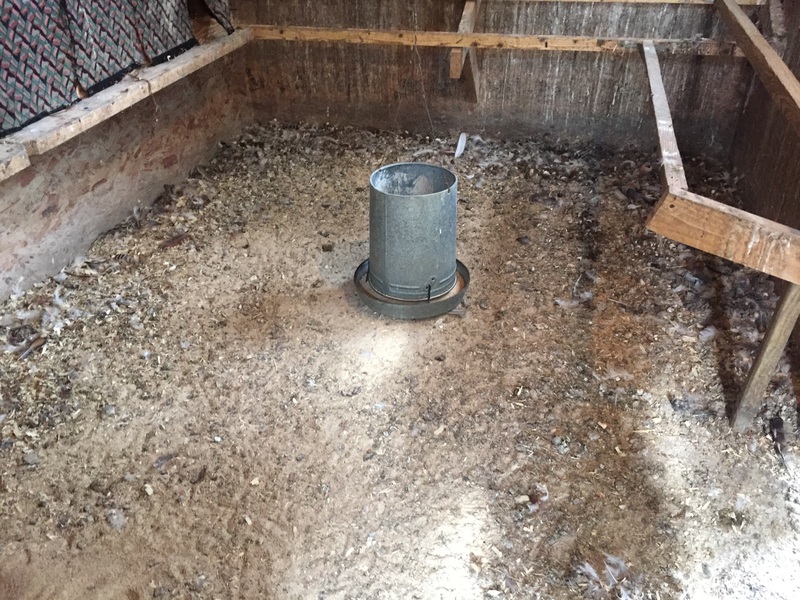 Because winter is approaching and the flock will be spending increasing amounts of time inside the coop as it gets colder, we decided to do a full coop cleaning for the fall. Coop nest boxes before cleaning. Unfortunately, chicken poop can be turned into a toxic dust during cleaning that gets kicked up into the air. 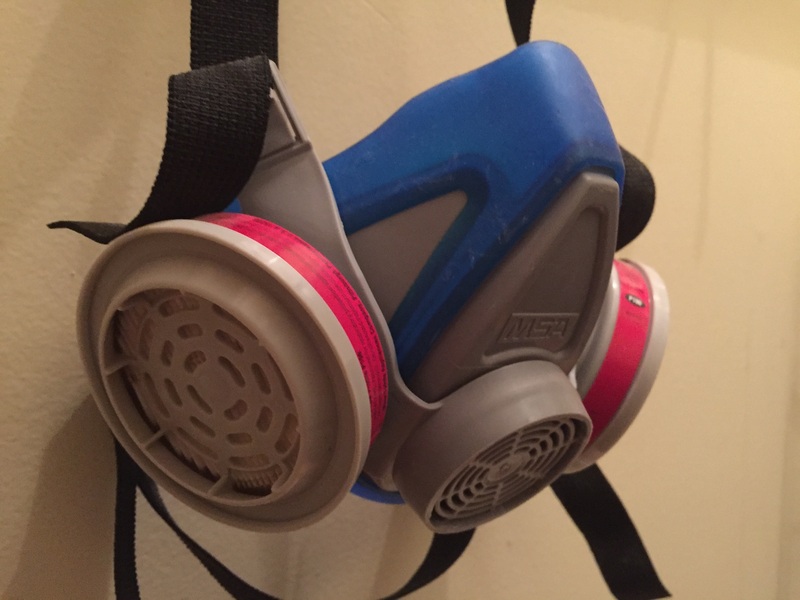 To make sure we don’t breath in too much dust during cleaning, we use protective breathing masks like the one pictured below. This is the breathing mask we use for coop cleaning. 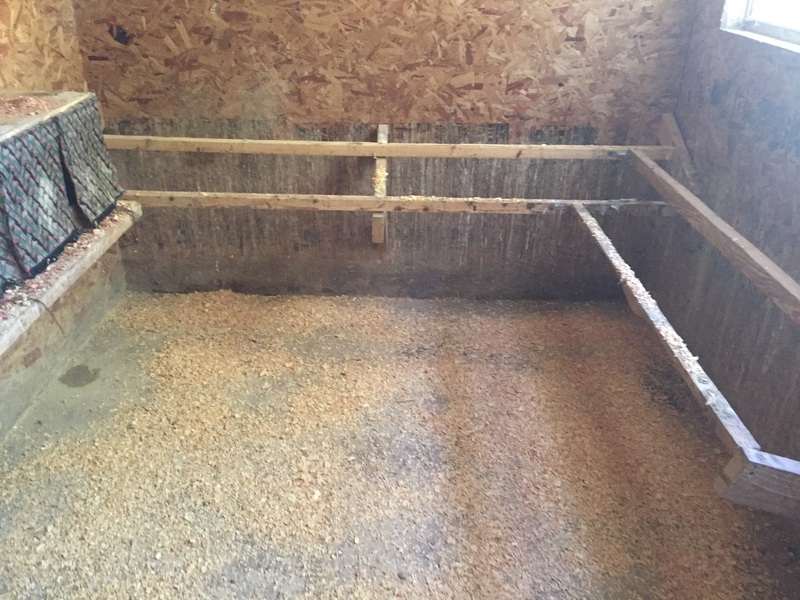 For the actual cleaning, most of the work is just scraping and scooping out chicken poop, feathers, and soiled bedding (mostly pine and cedar shavings). The easiest technique for us is to clean off the roosts and tops of the nest boxes with a square shovel. Then we can use the same square shovel to scrap the floor clean as well. We also use a grain scoop to scoop up the pile after scraping the floor with the square shovel. We take the removed debris out to the compost heap. 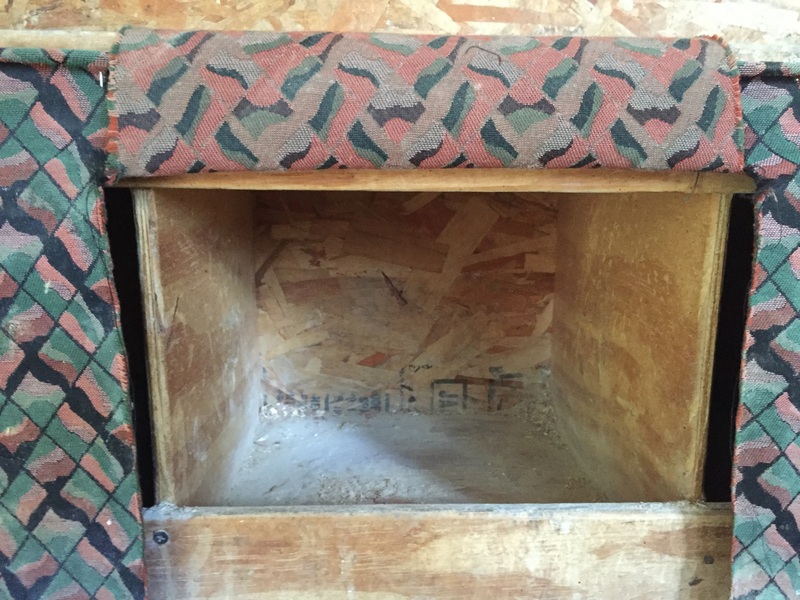 A nest box after initial cleaning. Now that the coop is mostly cleaned out, we can do a deeper clean. We just use straight vinegar or apple cider vinegar. (Note that you should not use bleach – chicken poop contains a high amount of ammonia and if you use bleach, it can create toxic gas). We spread the vinegar over most of the surfaces and rub it in with a brush. We then leave the coop for several hours to dry out. 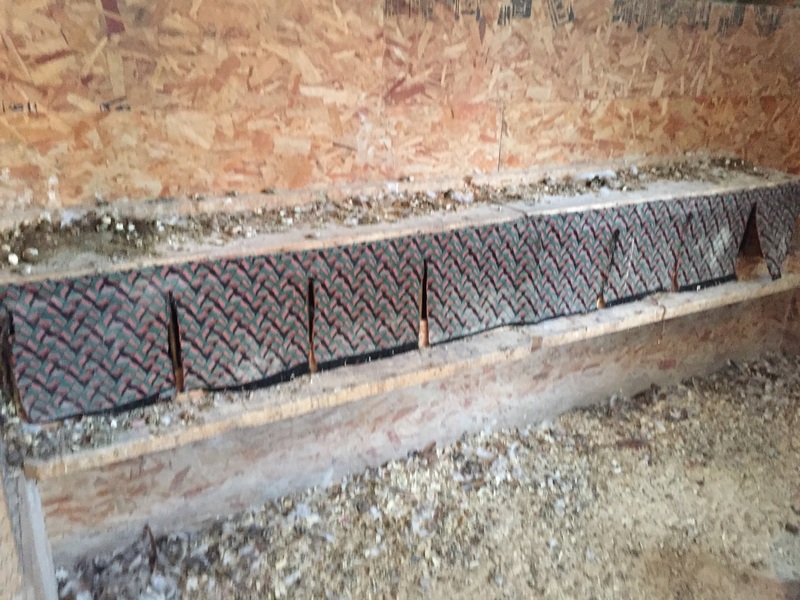 Once it is dry, we put in some new bedding into the coop for the chickens. 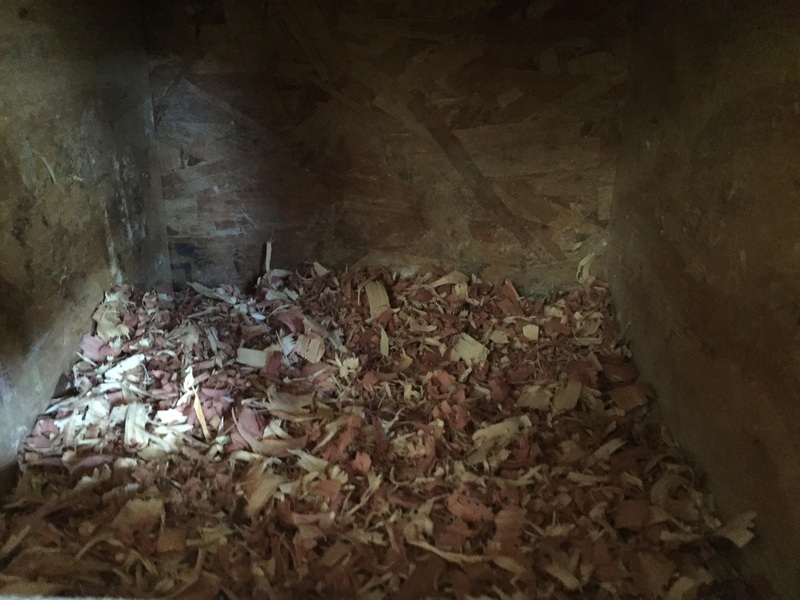 We use cedar chips for the nest boxes and the top of the next boxes and pine bedding on the floor. Nest box with fresh cedar chips. 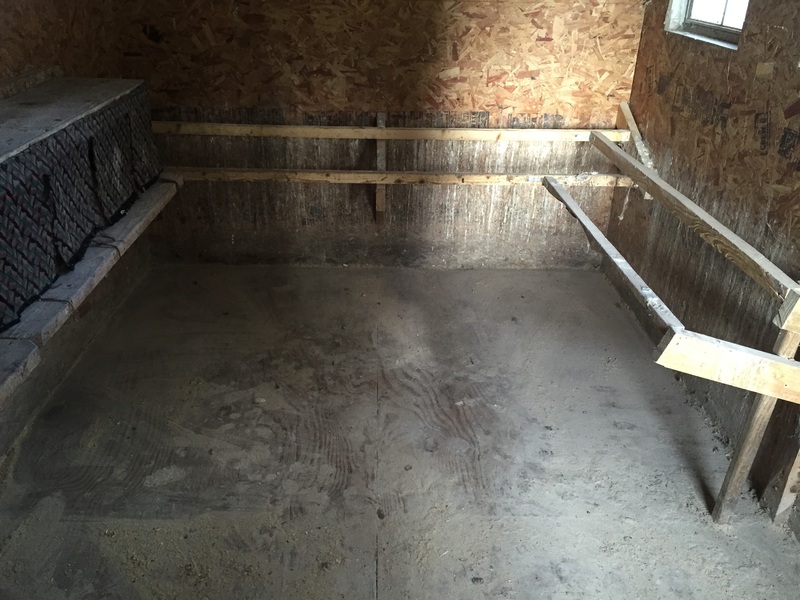 Clean coop ready for use. We open the door and the chickens can go in for the night into a fresh, clean coop. 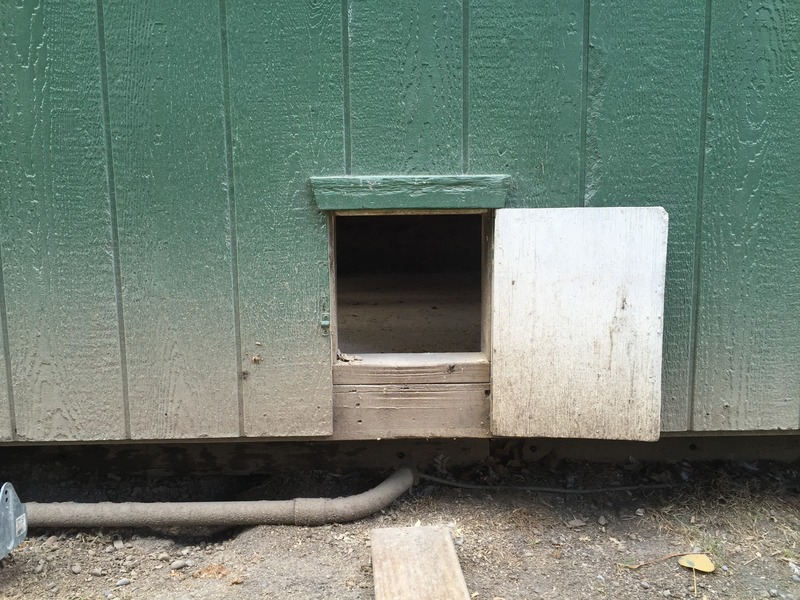 Chicken coop door is open, ready for use. This entry was posted in Animals, Farm, General Information and tagged animals, chickens, chores, farm by Dan. Bookmark the permalink.